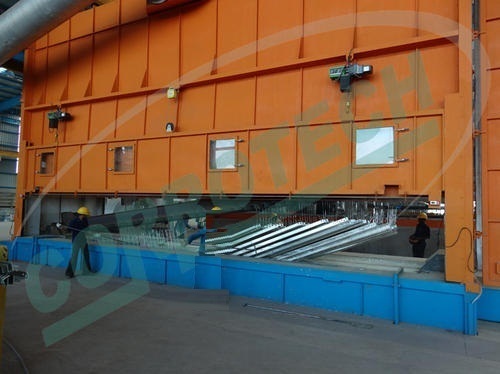 We are an acclaimed name engaged in offering our precious clients a superior quality range of Galvanizing Plant that is used for glazing of Structure, Tube and Pipe. Our offered plant is manufactured by our experts using best grade components and latest technology in conformity with the industry quality norms. In addition to this, our provided plant undergoes different tests under the direction of quality controllers to make sure its flawlessness at clients' end. Clients can avail this plant from us at market leading rates. 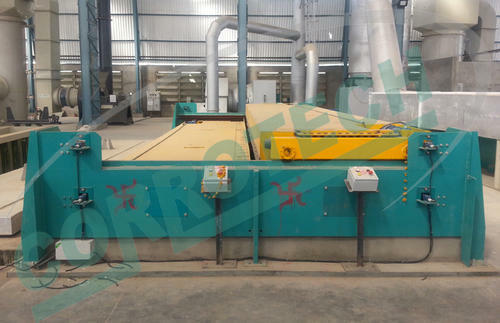 Corrotech hot air dryer is integrated with the galvanizing furnace designed to pre-heat the structural steel by re-circulating the exhaust flue gases generated out of the furnace. 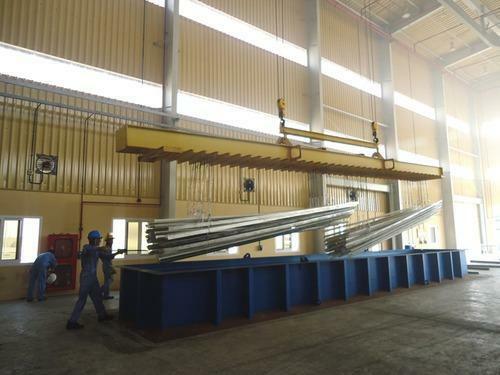 The hot air is used for complete drying and preheating of the steel to be hot dipped, to allow faster reaction and in the molten zinc thereby reducing fuel consumption and loss of zinc due to spurting. Detailed operation and maintenance manual documentation with preventative maintenance recommendations to name a few. 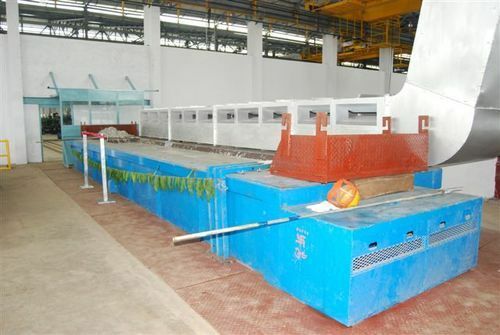 The efficient drying and preheating is achieved by the huge air volume recycled within the drying chamber using a large centrifugal blower, so that the huge hot air flow blows over the items uniformly, and provides a quick and efficient drying without using very high temperatures. The necessary hot air is produced by re-circulating the exhaust flue gases generated out of the furnace. The oven is operated with a single or two door system equipped with a motorized cranage moving over the rail mounted on the periphery of the oven wall. We offer to our honored patrons the first-class range of Fixed Zinc Fume Enclosure. Furthermore, our patrons can avail this product from us at affordable rates. Owing to our state-of-art manufacturing unit and the usage of leading-edge technology, we are able to present a comprehensive range of Passivation Tank. As the name implies, offered tank is mainly used for wire pickling purpose. Keeping in mind existing market development, this tank is manufactured by our deft professionals employing finest quality raw material and modernize tools. Apart from this, our quality examiners perform a series of quality test on the entire range ensuring its flawlessness. Less pickling tank increased productivity. Low production cost & rejection. Under the strict supervision of our experienced professionals, we are offering an innovative collection of Acid Storage Tank that is used in diverse industries for storing acids. 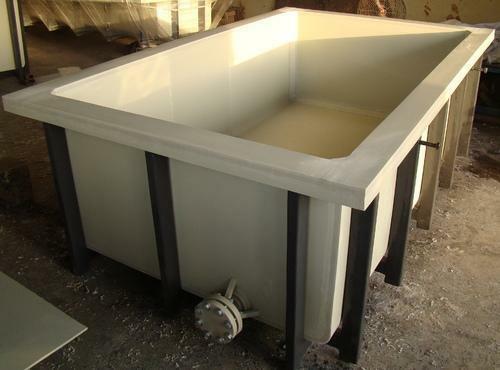 Our offered tank is availed in a variety of sizes, dimensions and other such specifications to choose from. The offered tank is precisely manufactured at our highly advanced manufacturing unit following industry distinct guidelines. 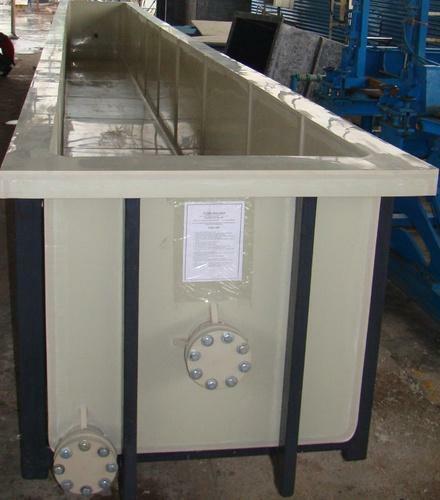 The offered tank can also be availed from us at the industry leading prices. 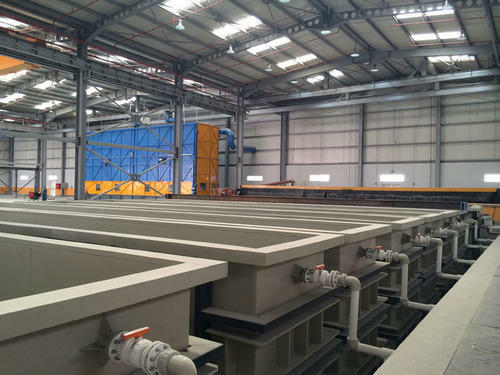 In pretreatment plant having all surface treatment tanks with all kind of accessories. Above all tanks are Made out from Polypropylene non Sticky material Corrosion Free, Long Lasting, Design on RITA (Roechling Integreted German Tank Building Assitant) software. Weld on German Wegner Welding Machine according to DVS norms therefore leak proof and long lasting. Prices can be vary as per customer requirement. Being a leader Quenching Tanks manufacturer & supplier, we have available with us all types of prominently used Polypropylene Tanks in various specifications/standards which also include PP Tank with Spreader. We have a whole range of PP made pickling tanks having spreader mechanism. Featuring rugged construction, the tanks have latest safety features. For welding, there is used a very latest Hot Gas Extrusion Welding Process from Germany. As per the design, the tanks are designed on CAD-CAM Autodesk and bottom corner of the tanks have weldless radius. These are 100% leak proof and have excellent resistance against corrosion. 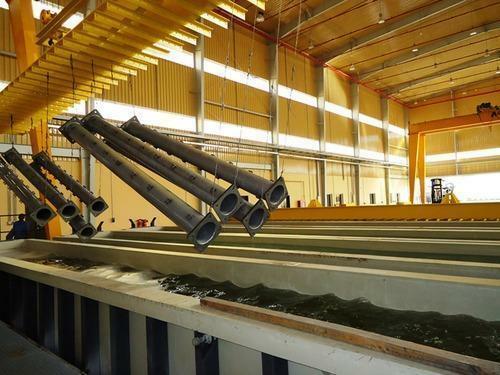 Further, for ensuring the delivery quality Polypropylene Tanks to clients, we use sophisticated inspection and testing systems/technologies including the use of imported high voltage tester. CORROTECH Flux Regeneration System minimizes the transfer of iron from the flux bath to the molten zinc. This greatly reduces zinc consumption, since 1 part of iron, which dissolves into the zinc bath reacts with 25 parts of zinc, to form Dross. The process in the flux system has the added advantage of damping the reaction between iron and zinc which ensures low iron transfer from the work piece to the molten zinc. CORROTECH Flux Recycling System minimizes the transfer of iron from the flux bath to the molten zinc. This greatly reduces zinc consumption, since 1 part of iron, which dissolves into the zinc bath reacts with 25 parts of zinc, to form Dross. The process in the flux system has the added advantage of damping the reaction between iron and zinc which ensures low iron transfer from the work piece to the molten zinc. 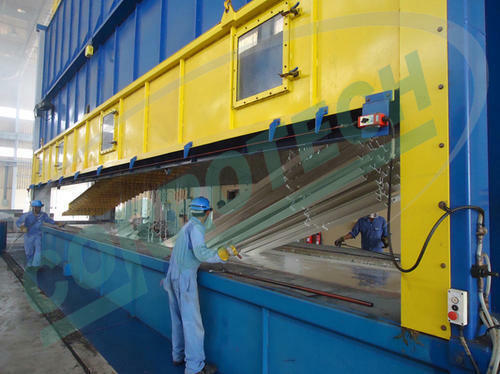 Corrotech designs highly efficient and reliable pulse fired high velocity hot dip galvanizing furnace. 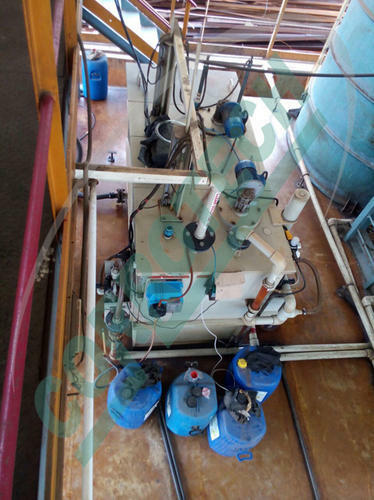 The furnace is equipped with High Velocity Burners, safety valves, pressure controls, temperature controls, kettle supports that are imported from US, UK, Germany, Italy and Hungary. 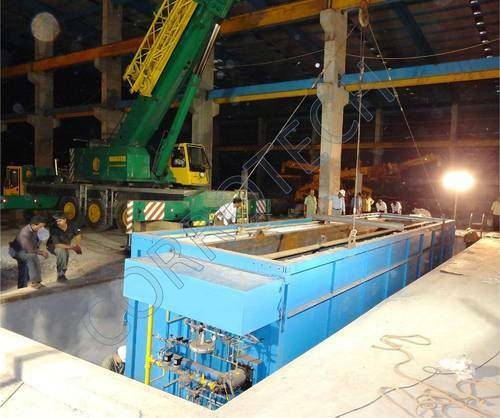 The furnace casing is fabricated using high quality mild steel rolled sections. Control pipe trains are assembled and installed by qualified and skilled engineers to achieve the best performance and aesthetics. The casing is thickly insulated using international quality ceramic fibers and modules. 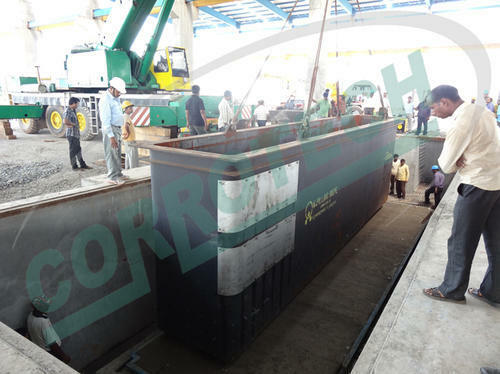 Corrotech Designs And Delivers Pulse Fired High Velocity Furnace That Offers. 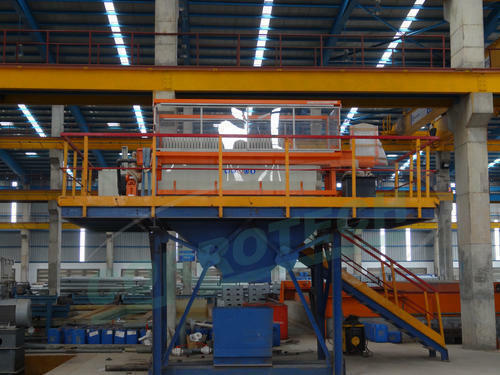 Our company specializes in offering quality Galvanizing Plant Dryer. The dryers offered by us are generally used for drying metal structures after galvanizing or pickling process. Our skilled professionals are equipped with advanced machines and tools to fabricate these dryers. These dryers consist of blowers and heaters to maintain the temperature. 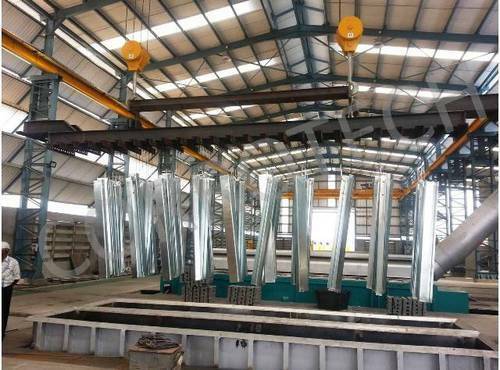 We are able to fabricate the Galvanizing Plant Dryer from various specifications as per the requirements of our customers. Corrotech designs and supplies high quality zinc kettle that delivers long life when used with our Pulse Fired High Velocity Furnaces. A proper kettle with our High Velocity furnace can have a lifetime of 9 to 10 years or more even with high production. The kettle material composition shall consist very low Silicon, Aluminum and Phosphorous. Our kettles are sufficiently protected from direct contact with the burner flames. The bottom of the kettle is insulated using refractory casting and fiber. Corrotech prefers to use Zinc Kettle produced by W Pilling, Germany. The kettle is Ultrasonically tested and Electroslag welded. We are a leader industrial pickling tank manufacturer and have in the offering a large range of PP & MS FRP Quenching Tank for multiples of industrial usage. These are made using high quality raw material, following latest manufacturing techniques and design standards. These have reliable weld seam and feature the state of the art integral fume ducting mechanism. For nearly all types of industrial usage, pickling tanks in any desired number can be availed with us at cost effective pricing. 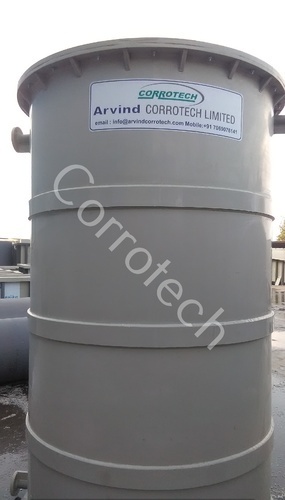 Arvind CORROTECH Limited is a progressive Company with a focused approach and a well-defined objective of developing innovative technology towards manufacture of products that ensure protection against corrosion, and conservation of environment. This Activation Pickling Tank is Corrosion Free, Long Lasting, Desing on RITA (Roechling Integreted German Tank Building Assitant) software. Weld on Gernam Wegner Welding Machining according to Dvs notrms therefore leak proof and long lasting. Custom design according size & weight. Our Prices are on approximation basis, our product is custom made product therefore price can be change. The Zinc (White) fumes generated while dipping process is efficiently sucked through lip ducting than passed from the cyclone all zinc dust dropped in dust collector after that the fume diverted to scrubbing unit where the fumes are neutralized and zinc-fume-free air is released in the atmosphere through chimney. The system delivers excellent result to meet emission control requirement stipulated by pollution control authorities. 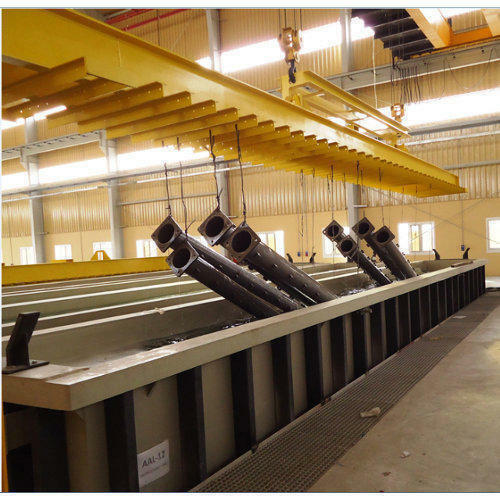 Corrotech supplied Fume extraction & Scrubbing system is Energy Saving and Eco Friendly System. 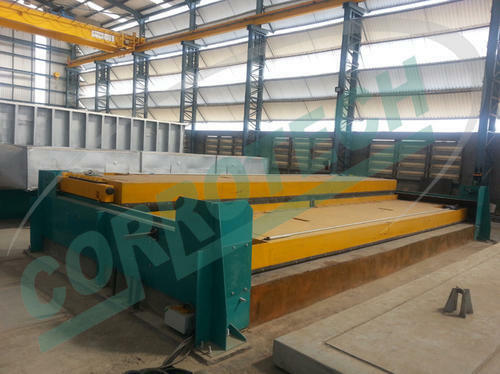 Corrotech designs highly efficient and reliable pulse fired galvanizing furnace. The furnace casing is fabricated using high quality mild steel rolled sections. Control pipe trains are assembled and installed by qualified and skilled engineers to achieve the best performance and aesthetics. The casing is thickly insulated using international quality ceramic fibers and modules. Owing to our state-of-art manufacturing unit and the usage of leading-edge technology, we are able to present a comprehensive range of Pickling Plant. As the name implies, offered tank is mainly used for pickling purpose. Keeping in mind existing market development, this tank is manufactured by our deft professionals employing finest quality raw material and modernize tools. Apart from this, our quality examiners perform a series of quality test on the entire range ensuring its flawlessness. Test of tensile and impact resistance property.